1886 view southeast from Buena Vista hill. Corona Heights in foreground, Liberty Hill with a smattering of houses on it behind that. The Jewish Cemetery is visible where Dolores Park is today. 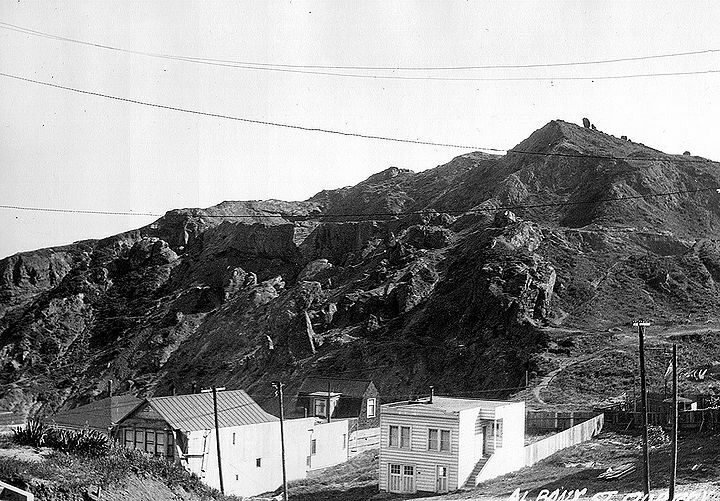 Corona Heights seen from the north, 1926. 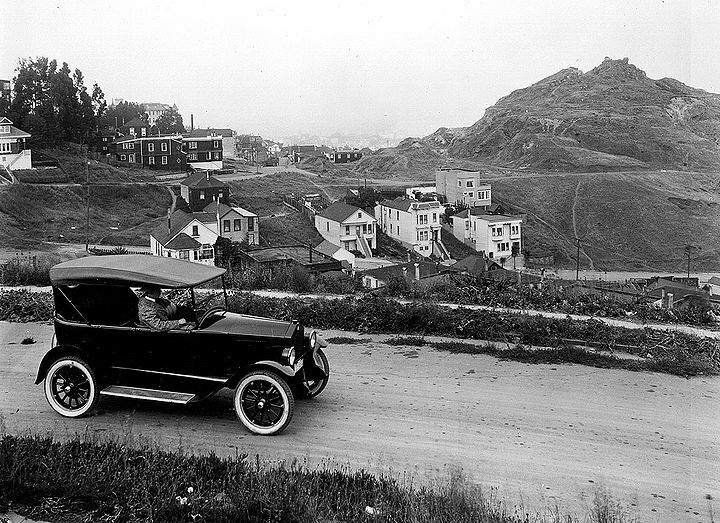 Corona Heights behind promotional shot for new car, 1920s. 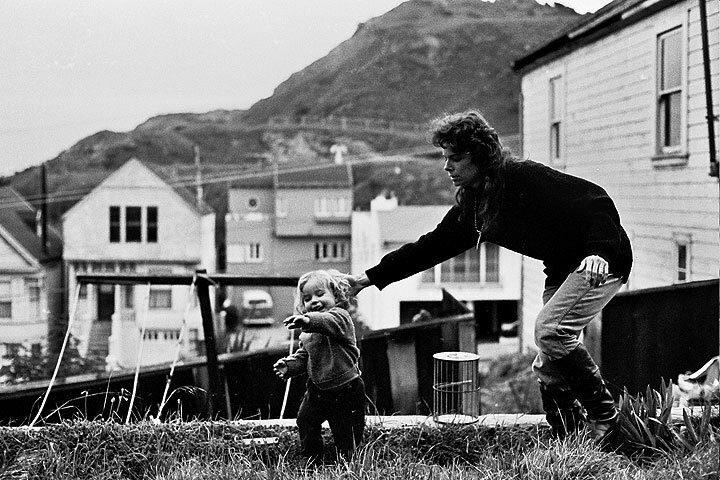 Mom chasing kid just west of Corona Heights, c. 1966. Photo: © 1969 Chuck Gould, all rights reserved. 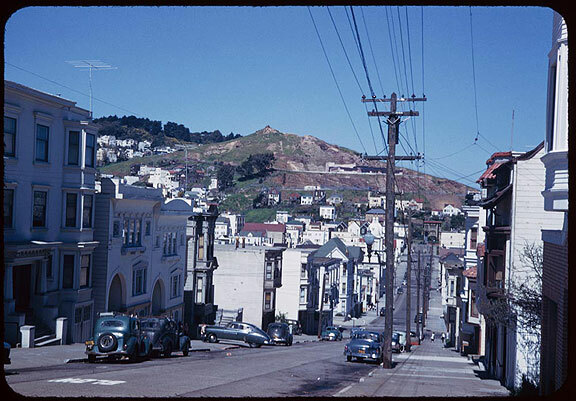 Corona Heights above Eureka Valley, seen here from Diamond and 20th Streets, March 26, 1952. 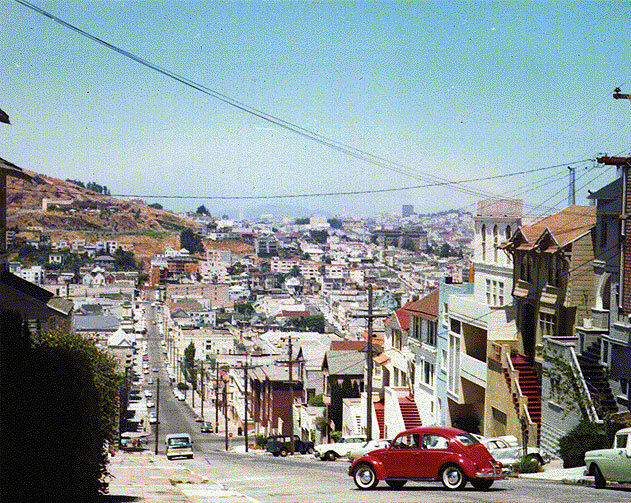 Looking north on Diamond Street towards Julia Randall Museum on Corona Heights, 1965, former quarry site. 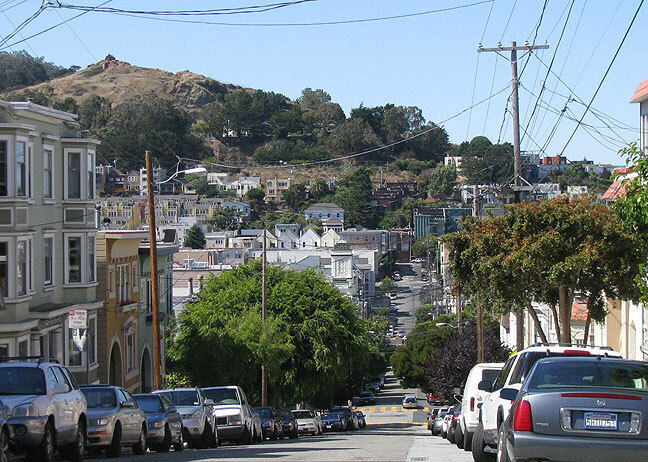 Corona Heights above Eureka Valley, from 20th and Diamond Streets, July 26, 2009.